Late Gunvanti (Gomiben) Devchand Lakhamshi Shah | Oshwal Association of the U.K. 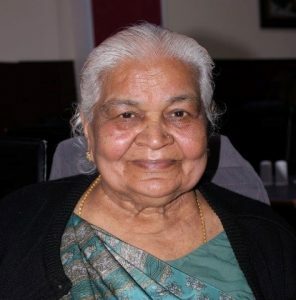 It is with deep regret that we announce the death of Mrs. Gunvanti (Gomiben) Devchand Lakhamshi Shah (Jakharia) formerly of Nyeri, then Nairobi and later of Watford on Monday 3 December 2018. Prathna Sabha will be held on Tuesday 4 December from 8pm to 10pm at Oshwal Centre, Coopers Lane Road, Northaw, EN6 4DG.